I’ve spent the last few days having a bit of a change around at home. (Well not a bit…more like a reshuffle of epic proportions). I’ve been moving sideboards. Shifting chests of drawers. Rearranging pictures on the wall…you name it I’ve done it. As I’ve said before, this house is an ever evolving mood board. It’s like a huge jigsaw puzzle, and it can take a while to find exactly the right piece for the right place. Plus once I get a bee in my bonnet about something, there’s no stopping me. My ideas don’t always work, and many a time I’ve shifted things around and taken an immediate dislike to it – so back it goes! One move I made this weekend which I’m pretty pleased with is this mirror which I’ve put in the living room, replacing the beautiful two tone 1930’s mirror which was there. (That will go in my bedroom, where I think it will work perfectly with it’s boudoir vibe). 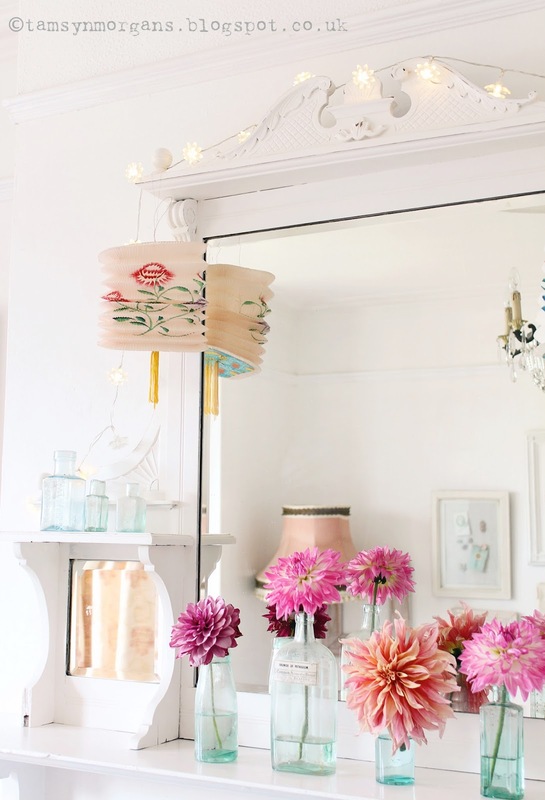 This mirror was part of a sideboard which was in the dining room – I’ve split the mirror from the bottom, and the bottom part has gone into the bathroom (come along, keep up…!). I think the proportions of this mirror are a little more imposing and suit the fireplace and mantelpiece more. 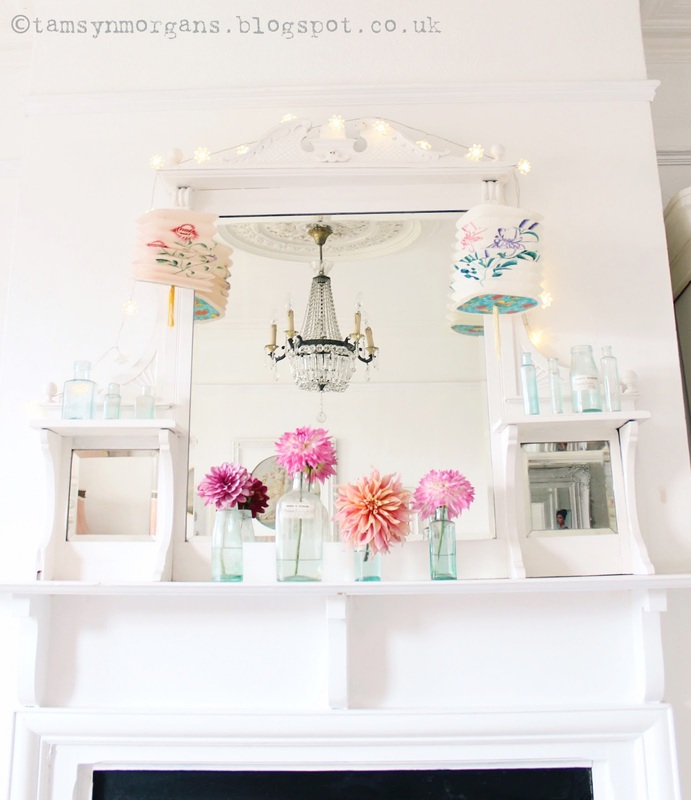 Plus I can hang fairy lights and pretty vintage paper lanterns from it which obviously makes me very happy, and decorate it according to the season – I think it will look especially lovely at Christmas, adorned with vintage silver baubles and rustic tea light holders. Thank you so much for your recent comments you have kindly taken the time to leave on some of my posts. For Lora, the tin lunchbox on my post on my daughter’s bedroom (see post here) is from Belle and Boo and you can find it here. 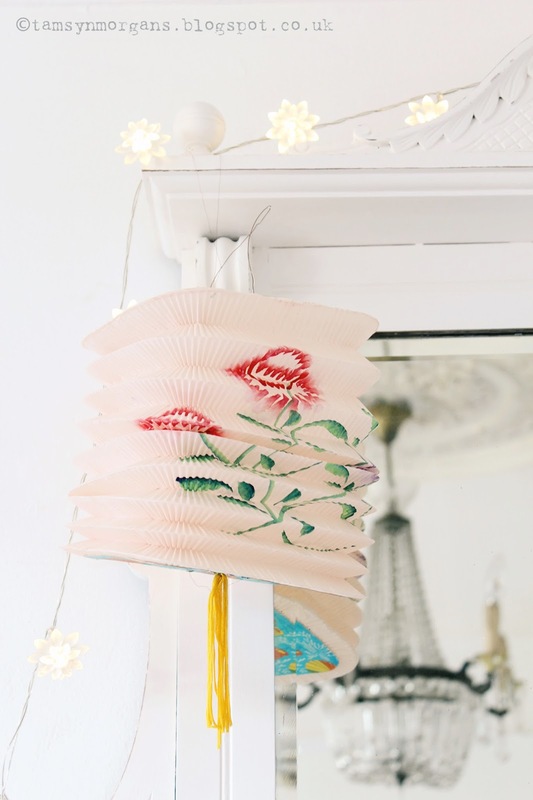 The floral paper lanterns were from a little shop in Tunbridge Wells, and a quick search online has drawn a blank I’m afraid – but I shall keep an eye out for them and let you know if I see them anywhere! I also love moving things around my house. It's like redecorating for free! Your house is always beautiful!